The good old Peleng Fisheye came in quite handy for these skate photos at the Dudelange on Wheels skating event. The fisheye effect looks best when you get really close, and one of the bikers (in the second photo) missed my camera by only five centimeters. No risk no fun. 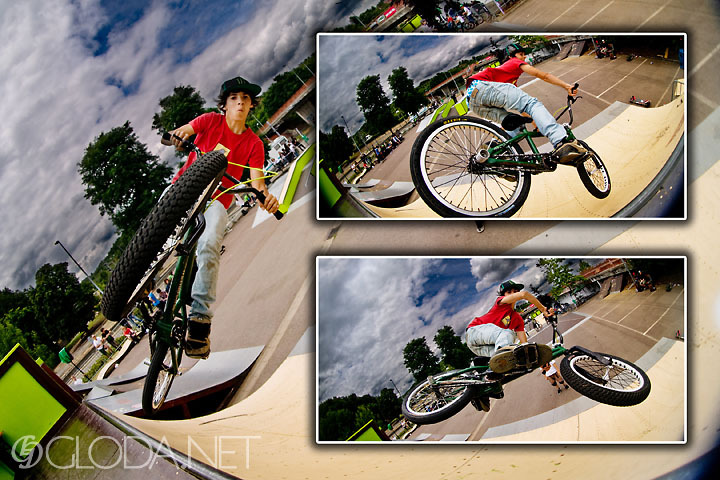 This entry was posted on Tuesday, October 28th, 2008 at 20:44 and is filed under Action, Photojournalism, sport and tagged with bike, Dudelange, Photojournalism, skate, skateboard, sport. You can follow any responses to this entry through the RSS 2.0 feed. You can leave a response, or trackback from your own site. amazing pictures. it is always a pleasure to look in on your blog.